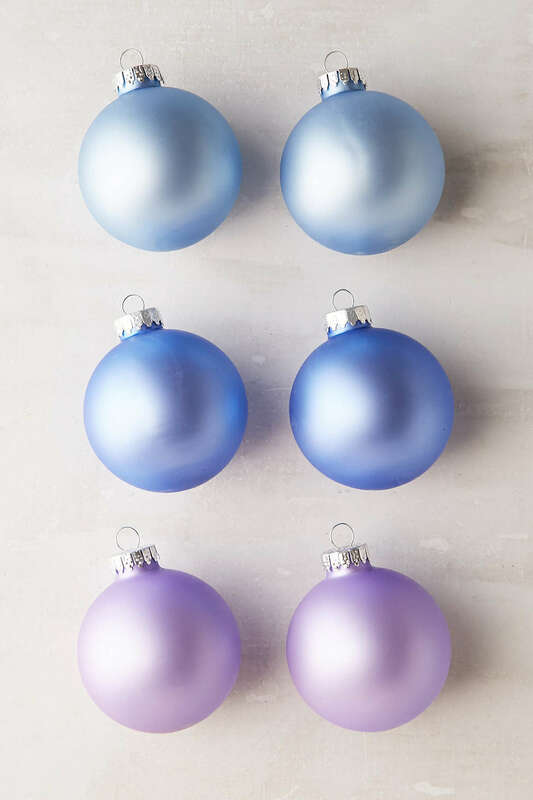 Decorate with this Purple Ombre Ball Ornament Set featuring six tonal glass balls. The perfect festive flair for anywhere in your home. Pre-attached loop so they’re ready to hang (string not included). $12. Buy here.